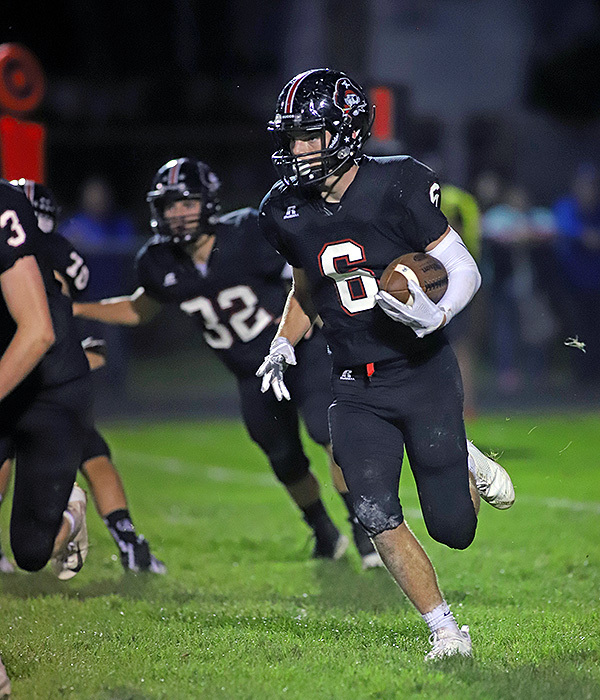 Covington and Miami East have had some memorable battles over the years in a rivalry that dates back to 1959 and Friday’s 19-17 come-from-behind win by the Buccaneers ranks up there with the best games in the history between the two programs. 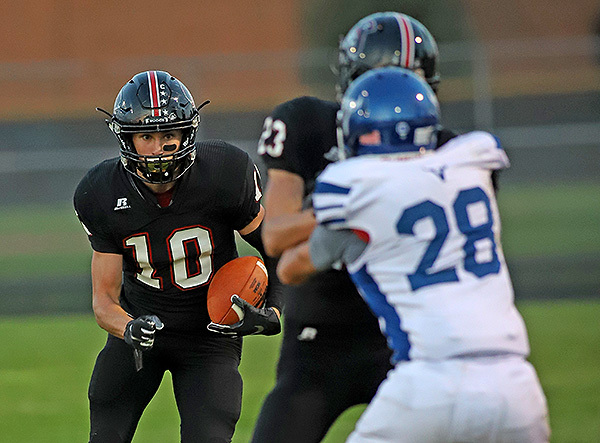 COVINGTON – If anyone wonders what type of kids the Covington and Miami East communities have, all they had to do was witness the final 50 seconds of an epic rivalry battle Friday night. 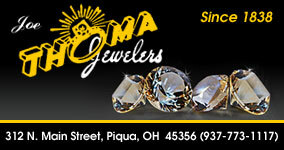 Coverage of the great outdoors on Press Pros is proudly sponsored by Olde English Outfitters, in Tipp City. 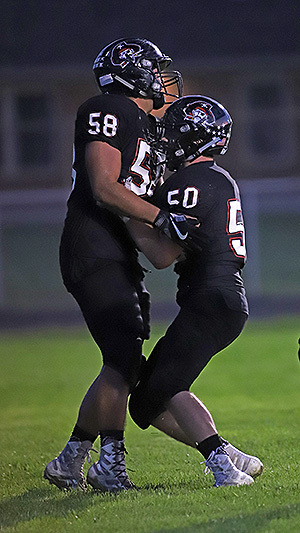 Buccaneer lineman Jesse Fisher #58 celebrates with Ian Wilson #50 after advancing a Covington fumble for the first touchdown of the game. 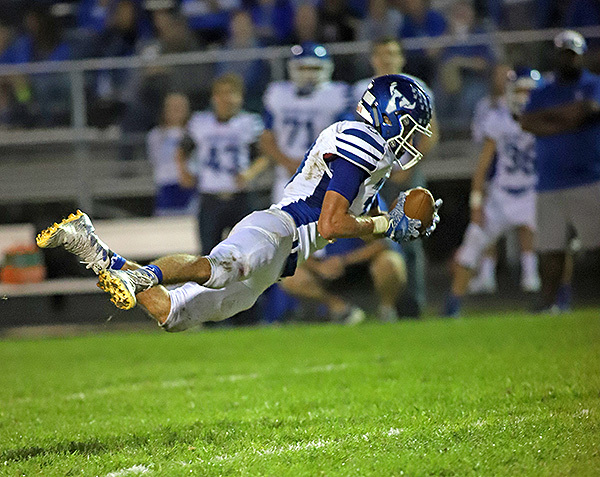 Justin Brown accounted for 144 of the 261 yards of offense for Miami East, 118 of those coming on five catches. Andrew Cates follows the block from Kleyton Maschino on one of his seven catches on the night.